Pro Keys Locksmith is local, family owned and operated company that service the DFW area for over a decade. Our story began years ago, when we made the commitment to be the leading locksmith company in our area, and to provide our customers with world class care, we are proud to say that ever since we have serviced thousands of pleased customers that keep using our reliable locksmith services again and again. Pro Keys Locksmith offers a full line of Automotive, Residential and Commercial Locksmith services, as well as all of emergency locksmith services. 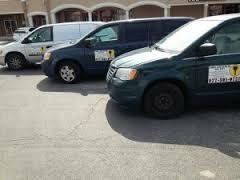 What makes our locksmith company in Dallas, TX outshine our competitors? Well, let’s begin with the best customer service, when you contact us you can be sure that from start to end, you will be treated just like family. Another great benefit is our second to none fast response time, in less than half an hour, we will arrive to your location fully equipped with top notch locksmith tools to ensure that no matter what job needs to get done- we will be able to provide it efficiently and in the most professional way. Pro Keys, your local locksmith in Dallas, TX and surrounding areas. Pro-Keys locksmith in Dallas, TX and neighboring cities offers a full line of Residential, Commercial and Automotive locksmith services in the DFW area, We are licensed bonded and insured for your safety. They say money can’t buy experience.. Pro Keys locksmith in Dallas, TX is able to answer any residential locksmith need. When it comes to the safety and security of your home, you must choose the very best locksmiths in Dallas, TX. We offer complete locksmith services for your home. Our mobile service locksmiths are able to travel to your location, and perform any type of required locksmith service in the most efficient, professional and affordable manner. We use the very best hardware to maximize the security of your home, and to ensure you are getting the most durable, long lasting hardware. If you are moving to a new home, and looking to replace the old locks, or if you simply need to rekey your current locks for safety reasons, or when you are looking to add another layer of protection by installing a high security lock, choose Pro Keys locksmith in Dallas TX- Your local, friendly locksmiths from your home-town! Lock Rekey is a process in which the lock of a door is removed, and the interior pins combination of lock is being altered to a new one, completely disabling access to previous keys. A new set of keys is provided to the customer. Residential Rekey is a great option to consider when your locks are in good condition and when you need to disable or limit access to individuals that posses a key for your residence. Rekeying method is often used after burglary, to retrieve maximum security of your residence. Pro Keys locksmiths in Dallas Fort Worth, TX are licensed, bonded and insured service technicians that are authorized to rekey residential and commercial property. Pro Keys locksmiths in Dallas Fort Worth, TX will rekey your residential property like no others! Rekeying residential locks takes much expertise, when a qualified locksmith technician rekeys a residential lock, you can be certain that your house is secure and safe and there will not be any damage to the locks, however, when an inexperienced locksmith rekey residential locks, it is inevitable for these locks to become faulty quickly, and potentially jeopardize your safety! Pro Keys locksmith in Dallas, TX are the number 1 experts in residential properties locks rekey. Our mobile locksmiths will arrive to you promptly and will rekey your locks quickly and efficiently!